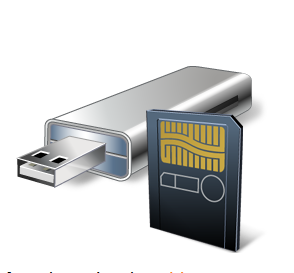 MMC Tool is a powerful tool of all type of problems of USB and Memory Cards. You can format your drives, remove viruses forever, recover your lost data, fix error of formatting and opening. There is a tool included in this software name Perlovga Removal Tool, which will remove so called temp2.exe virus and related viruses like copy.exe and host.exe... It can remove from all of your hard drive partitions included floppy disks and USB flash disks (Those must be write enabled during the scan process). It also remove the loftover of this virus by removing the "autorun.inf" files and clean up your system registry, so you would not see the "autoplay" item anymore. Start your computer in Safe mode. If you have infected floppy/flash drive you can insert them. Repeat the process for every infected disk. Remove Chinese Virus from USB and Memory Card. Recover lost data from USB and Memory Card. My Computer after Plug In. Repair Memory Card and USB easily. Get fixed error "Format Drive" when double click or try to open Memory Card and USB. There are also a number of features Install the program and see.